The CCM Quicklite QLT gloves are CCM’s premier glove offering with a tapered fit. When they were released, our friends over at CCM Hockey sent us a pair for review purposes. Find out what we thought about their style and performance in our CCM Quicklite QLT gloves review. CCM’s Quicklite QLT gloves are designed for an elite level player who wants a glove with a tapered fit. This means the gloves will have a relaxed fit through the cuff, and then taper more into a snug fit in the backhand and into the fingers. They were engineered to be light, mobile, and full of protection, which would obviously meet the needs of many hockey players out there. The shell of CCM’s Quicklite QLT gloves are constructed using pro selected polyester for enhanced durability, flexibility, and breathability. A clarino pro nash palm is used for pro-level feel and supported with added reinforcement in key areas for an extra boost of durability. Inside the glove is a breathable and moisture-wicking microfiber liner, designed to be soft and comfortable around your hand. In terms of protection, CCM offers pro-level protection on the Quicklite QLT gloves with the use of Zote foam among other protective foams and inserts. The Zote foam enhances protection while remaining incredibly lightweight. This material can be found in the fingers, backhand, and in the flex cuff. Additional inserts can be found for extra protection, and a 2-piece flex thumb will offer further protection by helping to prevent hyperextension. 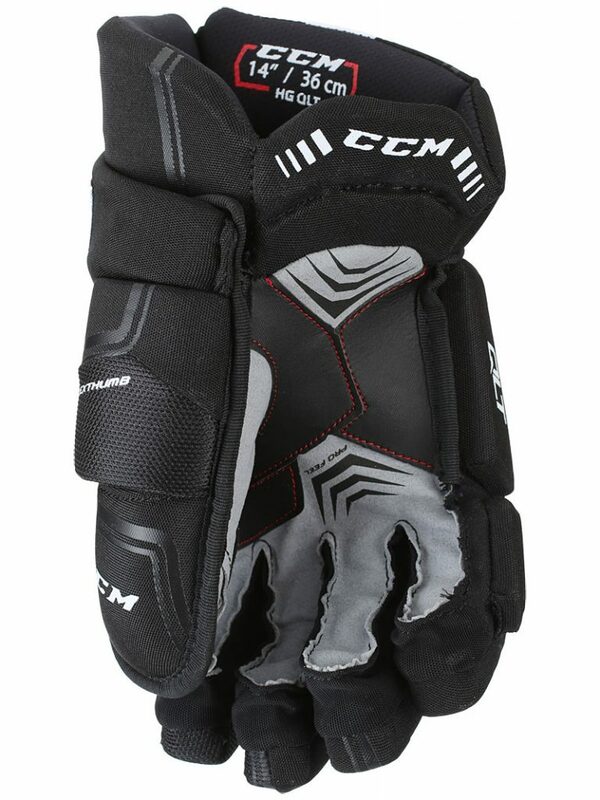 The first thing I noticed when I slipped on the CCM Quicklite QLT gloves was the snug fit. A 14″ glove, which is my standard size, fit very snugly around my hands. The comfortable fit of a piece of hockey equipment is definitely subjective, and in this case, I found the Quicklite QLT gloves in a 14″ size to be a bit too small for my liking. I felt like the fit was not helping to optimize my performance out on the rink, and that a larger size would have treated me better. Sizing isn’t everything, however, and these gloves helped prove that to me. In other key performance areas, I was happy with what I experienced. For example, the Quicklite QLT gloves have a short cuff that did wonders for my mobility. The cuff did not limit my stickhandling or movements in any way, as some other gloves can, so I was happy to be able to perform exactly the way I wanted to in that regard. From a protective standpoint, the CCM Quicklite gloves provided the elite level protection that was expected out of them. 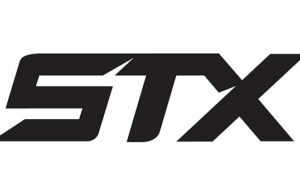 CCM delivered with high-quality materials, a solid palm, and a good overall feel for your stick. The palm also proved to be durable throughout my usage, which is a great bonus. I was concerned with having a short cuff, however, from a protective standpoint. While it improved mobility immensely, I was nervous about taking unnecessary slashes on my wrists while playing. Fortunately, it never happened, but it was something I always kept in the back of my mind. For me, the key to really loving the CCM Quicklite QLT gloves is all about the fit. If you crave extra mobility around your wrist and love a snug fit through the hands, these are the gloves for you. They offer great protection for your hands, a terrific feel, and are definitely lightweight. I would certainly recommend the Quicklite QLT gloves if those are the things you are looking for. If you want the Quicklite gloves but are looking for something a little less snug, I would encourage you to try them on and try sizing up to see if that provides a better fit. 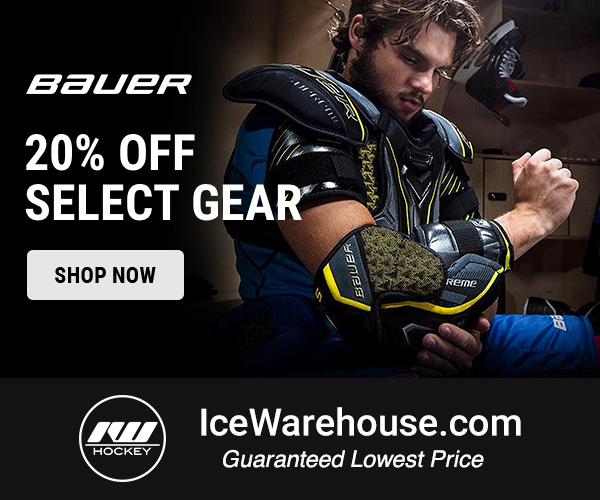 Like what you read and want to pick up a pair of CCM Quicklite QLT gloves for yourself? 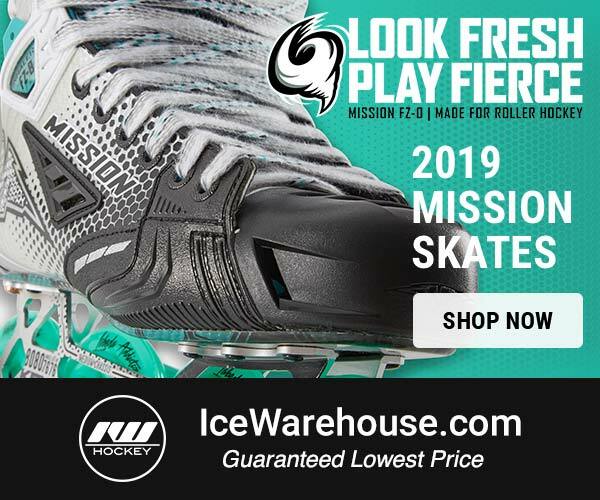 Head over to Ice and Inline Warehouse today where you can snag a pair for $179.99 and receive free shipping, too! 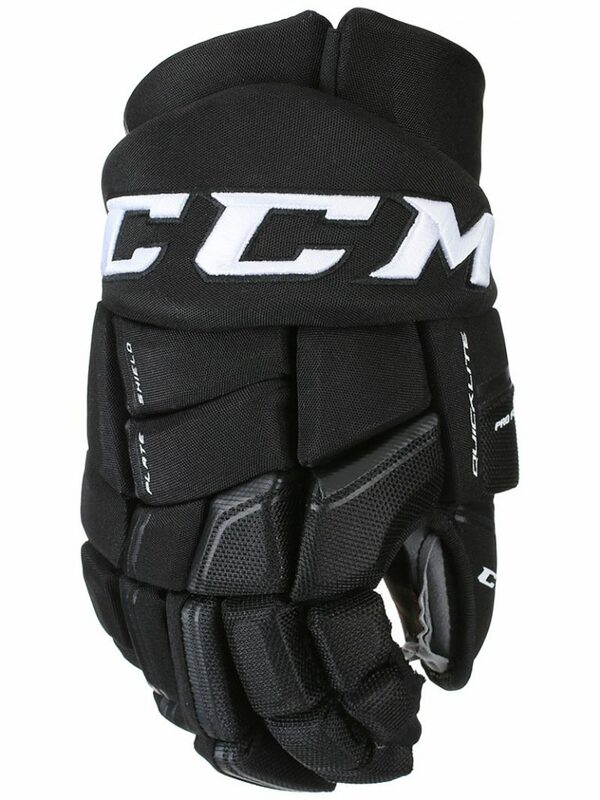 Click here to buy the CCM Quicklite QLT gloves!